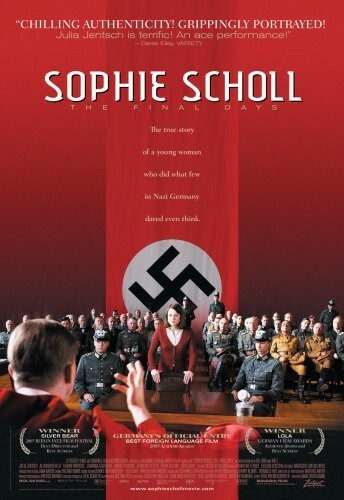 A 2005 Academy Award Nominee for Best Foreign Language Film, Sophie Scholl - The Final Days is the true story of Germany's most famous anti-Nazi heroine brought to thrilling, dramatic life. Sophie Scholl stars Julia Jentsch in a luminous performance as the fearless activist of the underground student resistance group, The White Rose. 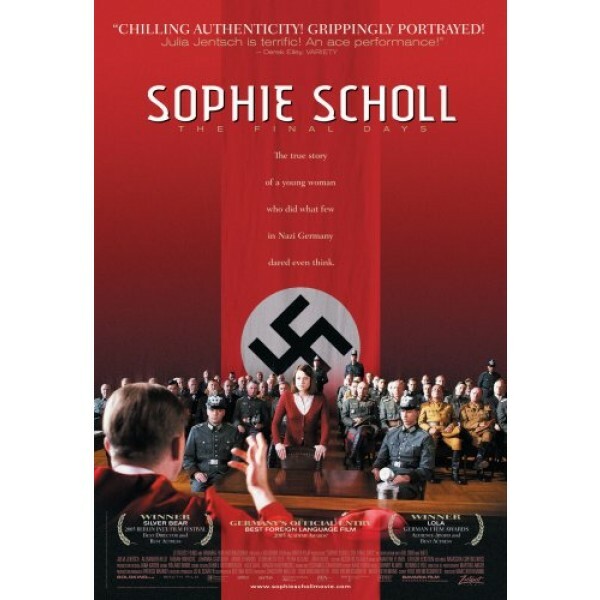 Armed with long-buried historical records of her incarceration, director Marc Rothemund expertly re-creates the last six days of Sophie Scholl's life: a heart-stopping journey from arrest to interrogation, trial and sentence in 1943 Munich. Unwavering in her convictions and loyalty to her comrades, her cross-examination by the Gestapo quickly escalates into a searing test of wills as Scholl delivers a passionate call to freedom and personal responsibility that is both haunting and timeless. For more true stories of girls and women living through WWII and the Holocaust, visit our WWII / Holocaust book section. Through its simplicity and scrupulous attention to historical detail, Sophie Scholl: The Final Days proves to be both thrillingly suspenseful and emotionally devastating. During the peak of the Third Reich, Sophie Scholl (Julia Jentsch, The Edukators), along with her brother Hans and other students in Munich, formed a resistance group called the White Rose and distributed anti-Nazi leaflets. Sophie Scholl begins on a crisp winter day, with Sophie and Hans distributing leaflets around the empty halls of a university before class is let out.